Elektra Quintet | Zonyxa. Unique and contemporary jewellery for Work. Love. Play. Matt onyx asteroids with shiny facets lend this piece a rich contemporary feel. The onyx contrasts with faceted citrine and shimmery labradorite, giving the feeling of planets, sun and moon. It contrasts beautifully with a bright long line blouse or tunic or compliments any black ensemble. Materials: Onyx asteroid, onyx, labradorite and citrine necklace. 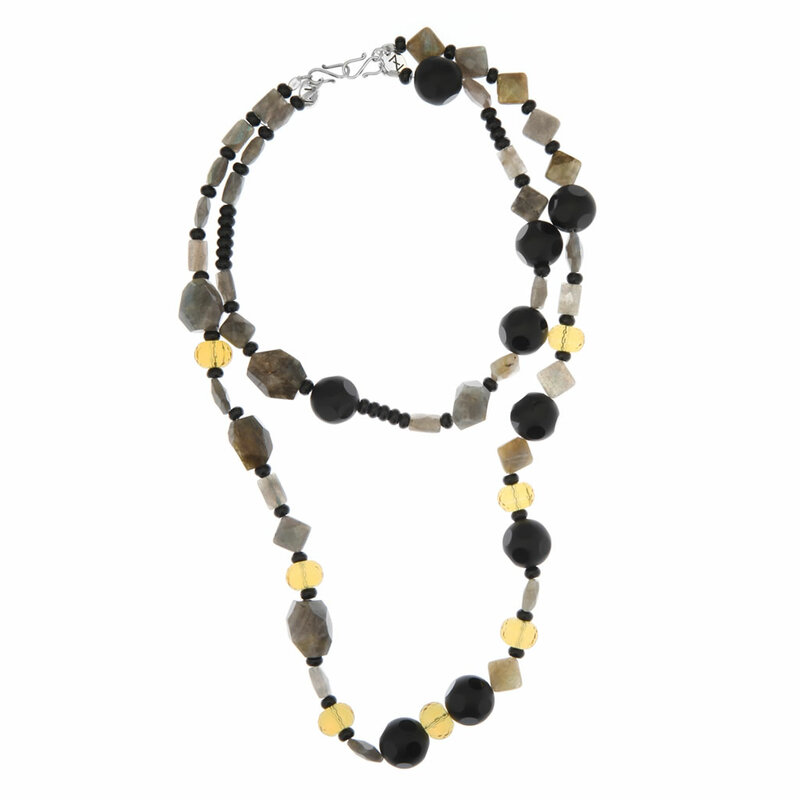 Complimenting a longer necklace from the same set, this necklet/bracelet is made from onyx asteroid, smooth roundels of onyx and shimmery labradorite. Wear as a shorter necklace together with ELEKTRA GRANDE necklace or separately as a bracelet. Materials: Onyx asteroid, onyx, labradorite, citrine.